Visitors come to the Great Smoky Mountains for a variety of reasons. Whether for a weekend getaway, mini vacation or extended stay, the mountains are a source of beauty, relaxation, and attractions. One of the first things on the agenda when planning a trip is deciding where to stay. 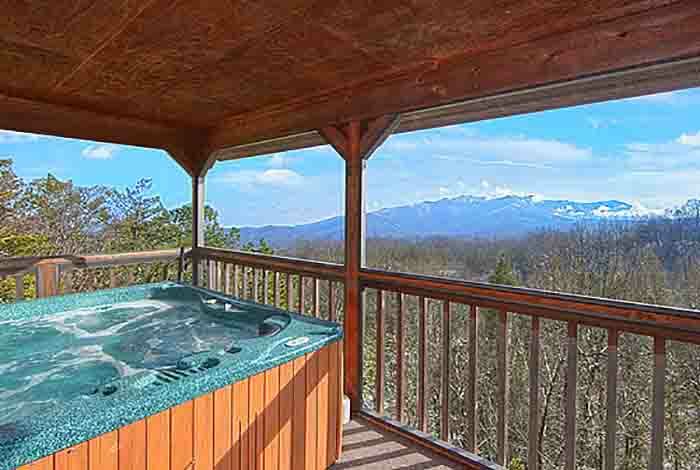 If you’ve chosen a luxury mountain cabin from our array of Gatlinburg cabins, give yourself even more luxury with these extra in-cabin services available. A couple of things come to mind with in-cabin services – convenience and privacy. With access to a fully-equipped kitchen, there’s no hurry and scurry to get dressed and head out to find someplace to eat. It’s also convenient when everyone has settled in for the night and someone wants a late night snack. 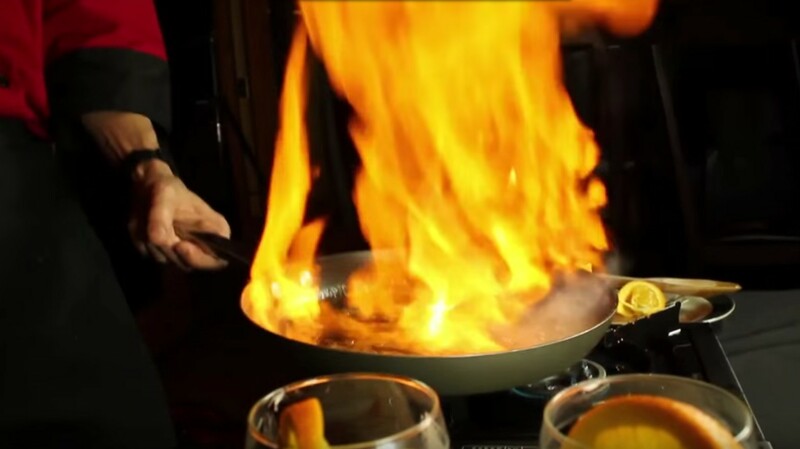 Another benefit you can take advantage of in your luxury cabin is Chef Jeremy and his Savory Solutions – gourmet cuisine prepared personally for you in your cabin as a taste-bud pleasing and tantalizing dinner for everyone. While you’re on vacation, the last thing you want to do is spend time away from all the fun attractions to go grocery shopping. With help from the team at Smoky Mountain Grocery, you won’t need to spend a minute shopping for supplies. You can phone, fax, or email your list prior to arrival so everything you need will be on hand when you check in. Once you arrive, use their services to keep your fridge full and the cabinets stocked throughout your stay. After a day spent hiking, sightseeing or taking in one of the local attractions, there’s nothing like a massage and aromatherapy to relax tired muscles and aching feet. Schedule a private massage in your cabin with an on-call therapeutic massage professional from A Mountain View Spa. Choose the 1-hour massage or select from 5 types of facials or body treatments lasting 30 minutes. An invigorating and skin softening mud wrap is also available. Whether you’re planning a wedding, starting your honeymoon, celebrating an anniversary or enjoying a romantic weekend, in-cabin services will add a touch of romance to the special event. Your luxury cabin already has a selection of features to ensure your time together will be relaxing – from the comfort of a cozy fireplace to the restorative waters of the indoor Jacuzzi. And if you want to unwind with a glass of wine under the stars, the hot tub on the deck is always ready for a soothing soak. And by the way, here’s a handy list of all the cabins currently available with an indoor, Heart-Shaped Jacuzzi. Add to the comfortable features of the cabin with a few of those “little extra touches” that create a memorable evening of romance. Check our Romance Packages page for all the details. Start with a dozen roses to set the mood then choose a special treat such as an in-cabin massage followed by a candlelight dinner for two. Plan ahead by choosing the mountain breakfast basket featuring all the fixings for a full breakfast to fuel you for a day of adventure. If you prefer to keep it sweet and simple, choose a basket full of sweet delights, sparkling juice, aromatherapy candles, and luxurious bath products to get the evening started. Follow with a picnic basket featuring assorted meats and cheeses, bread, salad, fruit and more sparkling wine for a cozy dinner by the fire. Put the finishing touch on a romantic evening with a fragrant bed of roses. For couples who want to tie the knot in an elegant and well-appointed cabin amid the beauty of the Great Smoky Mountains, choose to have an in-cabin ceremony. Everything is arranged by expert wedding planners to ensure the ceremony is everything the two of you want it to be. See our Gatlinburg Weddings page for details on wedding packages available, including the in-cabin ceremony at our Gatlinburg Cabin Weddings page. 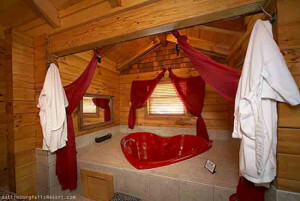 So remember on your next trip to the Smoky Mountains, you can take your vacation or romantic getaway plans to another level of luxury with these assorted in-cabin extras.